I haven’t had a chance to talk to you about Freddie or Lucy recently, and I wanted to post an update for those among you who have been wondering what’s up.Lucy’s doing pretty great. She’s almost through her chemotherapy now, and will then go on a maintenance dose. Our experience, overall, has been much better than what we anticipated. Chemo for dogs is not as life-wracking as chemo for humans can be, because the doses are much smaller. This means side-effects are minimal– in Lucy’s case she gets nauseous for a day or two, stays away from food, and then it’s back to getting into everyone else’s food bowl.As for being three-legged, she does tire more easily than she used to because she is a big dog and there’s one less leg to support that weight. So long walks have to be punctuated by a few sitting-down breaks, but that works perfectly for her walking companion Opie who loves nothing more than to sit around and people-watch, thank you.Freddie, meanwhile, has been diagnosed with what could be a soft-tissue sarcoma– also a cancer– under one of his front legs. This is a less aggressive kind of cancer than the one Lucy has, and given his advanced age– he’ll be 18 in December– and limited physical reserves, the doctor has advised we don’t try to do anything to treat it. Apparently he doesn’t feel any pain.Freddie has been showing signs of his age over the past year, which means he’s slowed down quite a bit, and has some signs of senility. But no– he’s definitely not ready to roll over and die. He still enjoys his drives and his treats, and he’s happy being the cute old man that he is. They say senior dogs, when adopted, get a new burst of life– and nothing could be truer of Freddie who adopted us when he was 12. He actually came with us as a foster, and just stayed on. 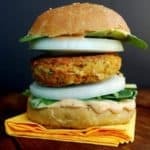 Now on to today’s recipe, a simple one, but one you can make in advance and enjoy for days and days of blissful brown-bag lunches: my spicy black-bean burger. The fat-free burger is packed with great nutrition: black beans, walnuts, brown rice, chickpea four, oats, herbs, and a few sizzling spices. What’s not to love? 1 cup dried black beans , soaked for a few hours and cooked until tender, then drained (you can skip the soaking if you use a pressure cooker). Substitute, if you like, with 2 1/2 cups of canned black beans, drained. Put all the ingredients into a food processor, and process until grainy and still very textured. 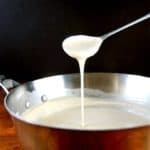 Heat a cast-iron or non-stick skillet and spray lightly with oil. 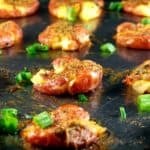 Form two-inch discs with the burger batter and drop them into the skillet. The batter will be a little runnier than you’d expect, but it will set and form into firm patties as the burger cooks. Flip over when the underside is golden-brown, and cook on the other side about 3-4 minutes. Serve hot with salsa, guacamole, and atop a delicious roll like my soymilk pompoms. Glad Lucy is doing alright. I guess you can say Freddie is aging gracefully the way you have described him. Good burgers. So great, about your dog. It warms my heart to hear it. These burgers look great too! these look over the top tasty! BIG hugs to Lucy and Freddie! muuaah! Great to hear Lucy is doing good! I have seen these burgers in many blogs. Need to get some black beans during my next grocery shopping. 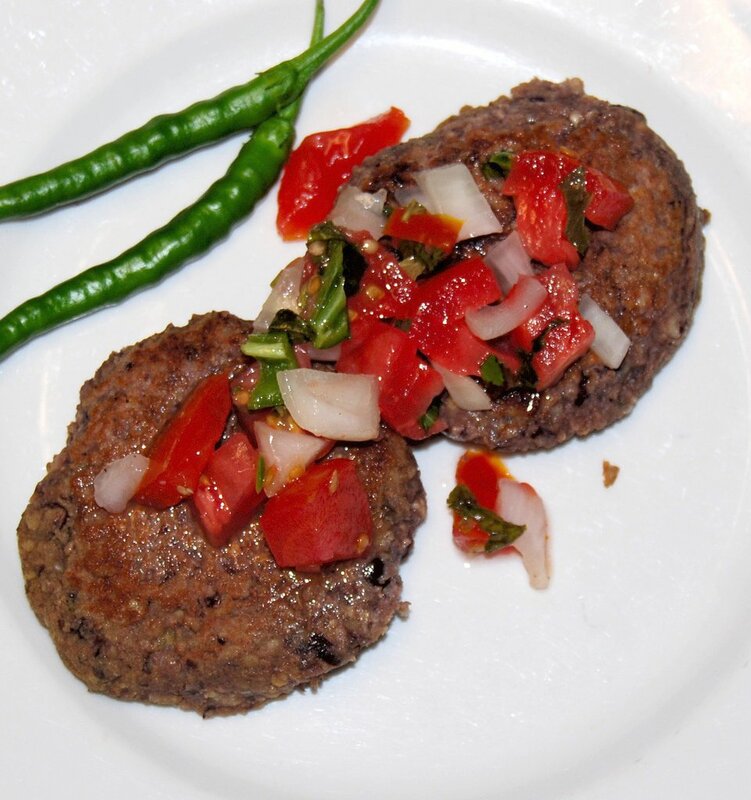 Thats great to know Lucy is doing well now…Black bean burgers looks utterly delicious.. So glad to hear about Lucy! I was wondering about her. And also happy to hear that Freddie is doing well. This recipe is a keeper, Vaish! I have GOT to try this. i keep forgetting to try these burgers.. these will be great for my burger craving hubby… on some nice freshly baked bread! Great to hear about Lucy doing better. I am sure Freddie has had some really lovely years with you and that will help him have painless and happy journey to the rainbow bridge. My mom’s pom had mammary tumors on and off and 2 surgeries. At 16 we decided not to have another surgery and also had to make the hard decision to let her go when the pain started to overshadow most of her daily activities. But everyday she always had smiles for us. So glad to hear updates about your darlings= kudos to you for nursing them with such love and care. You’re good people, Vaishali. Glad to know about Lucy and Freddie. Burgers can’t be healthier than this with these many good ingredients. 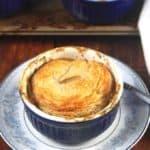 I am bookmarking this recipe. This looks delicious. My family has never had black bean burgers since we’ve converted to veganism. This looks like something we will try. Thanks for posting. Good to hear about Lucy and Freddie. You are doing such a wonderful job of taking care of them. Burger recipe is a keeper. Wondering if we can BBQ it? Must try once. Glad to her about lucy! God to hear an update about Lucy and Freddie. I can see still lot of things going on with them. i wish them speedy recovery. On recipe side, I love this, on my current no spend month experience I will make this as I have beans at home. By the way, your tips are very useful! Thank you. Looks healthy and tempting to give a try. 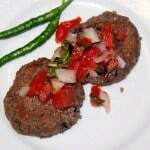 Oh I love bean burgers; black bean burgers are a favorite in our household. This weekend we’ll be grilling outside, and I already told my daughter I would be making her favorite Black Bean burgers. I’m glad to hear Lucy is doing well, it can be hard seeing our furbabies sick. After all, they’re part of the family too. 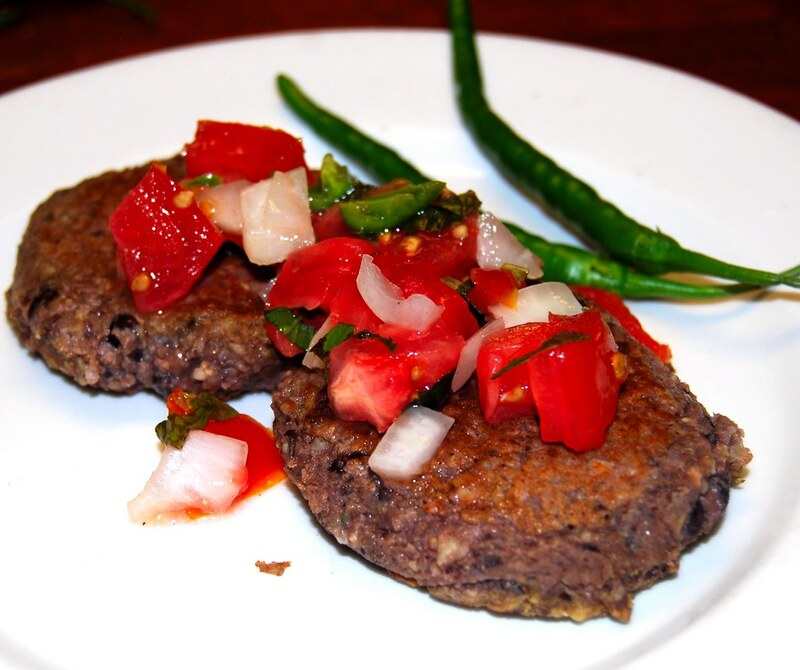 Those Fat-free Spicy Black Bean Burgers are right up my alley!! Thanks for the seasoning ideas to spice mine up. Great photo! I made these for my lunch yesterday. There were so good! 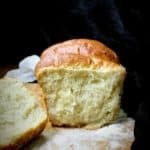 When I read this post I thought this was a nice recipe to try, you just “throw everything in to the food processor” and it’s done, sort of :). 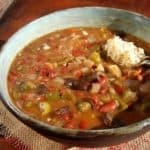 I didn’t have black beans, so I used red beans and I was so surprised by their color after being cooked – they looked like real meat, actually my dad thought they were real meat and started to joke about it! I added a few drops of soy sauce, to balance the seasoning. Thank you so much for updating us about Lucy and Freddie. It’s good to hear that Lucy is managing her treatments well, I firmly believe that is because you and Desy care so much about her and all the good wishes your blog readers sent to her ;)- after all Love heals everything! and this applies to Freddie as well. we can’t stop aging, it’s part of our lives, humans, animals, plants, etc., but we can help each other going through this time, and Freddie is an excellent example of how this task can be a tremendous success. Very nice! Black beans are so perfect for burgers. I bet these were yummy and also filling. Do you think they can be grilled on a grill? Sho nice to hear about Freddie and Lucy. Nice to know that Lucy is doing better and Opie gives her company. I loved your idea of adding the brown rice to burgers. It tastes great. I got to know this video about soy milk. I thought you may know more about it. I am personally fond of soymilk and was pretty upset to hear about this. these burgers look and sound delicious! I’m already contemplating these for dinner tomorrow! Good to know about the pets.Thank you for sharing the news about their health. Good to hear that Lucy’s doing much better ! The burgers look fabulous, would love to give this one a try…. 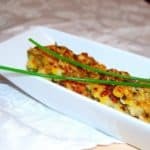 I just found your recipes and am excited to try some of the fat free ones as I am currently on a no fat diet for a gallbladder flare up. I did want to ask if there is any substitute you would recommend for the walnuts as walnuts are not fat free and so I can’t incorporate them in my diet. Thank you! 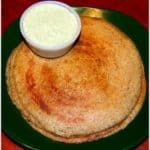 I started to suggest flax meal, then realized you don’t want any fat at all. In that case, just leave out the walnuts. 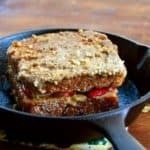 I belong to a few other Vegan websites and enjoyed looking at and finding yours. I had a hankering for some fat free ethiopian dishes so made a cabbage, potato dish and lentil dish to eat with enjera bread.